Crystal Anderson spoke about Afro-Asian culture, K-pop and K-drama with Michelle Clark-McCrary, host of the podcast ITYCRadio, which can be found via ITYC (Is That Your Child). The podcast covers issues related to race and social justice. Listen to the entire podcast here. Description As a child, Dae Woong frees a Gimiho (a nine-tailed fox) and injures himself in the process. Gumiho transforms into a beautiful woman and gives him a magic bead to save him, in return for her freedom. He agrees to help her learn how to be human, and their romance blossoms. Description Dong Chul vows to take revenge on Shin Tae Hwan, the man who killed his father. His younger brother, Dong Wook, becomes a prosecutor in order to help his brother. But, there’s a twist: Dong Wook is actually Myung Hun, the son of Tae Hwan and was switched at birth with Dong Chul’s real brother. Will the ‘brothers’ still work together to get revenge? Description Set in the Joseon era, Baek Do Yang rejects his noble status in order to work in the Jejoongwon hospital, with Hwang Jung (son of a butcher) and Seok Ran, who starts as an interpreter but wants to become a doctor. Description One plucky girl, one jerky guy, one pretty girl. . . it doesn’t end the way you think. 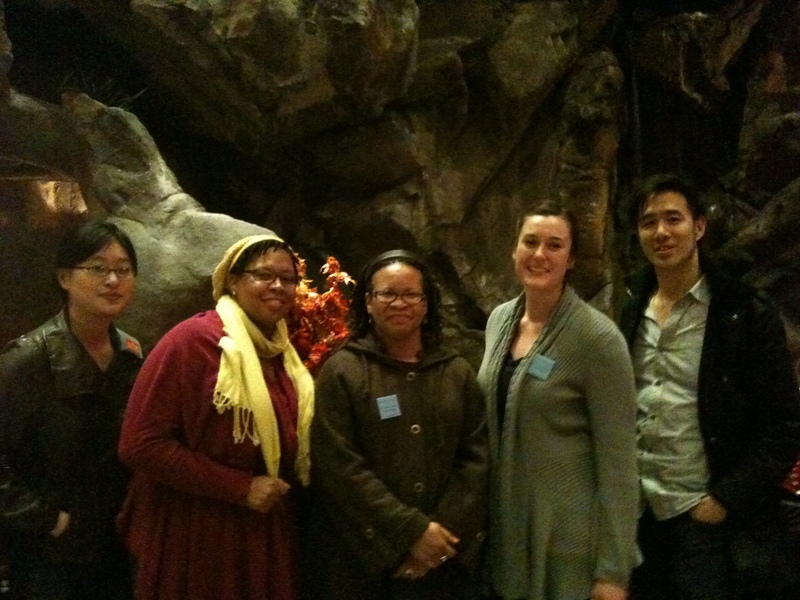 A BIG Thank You To Our New Friends At DramaFever! Yes, KPK was quite busy during our trip to New York, but not too busy to make new friends! 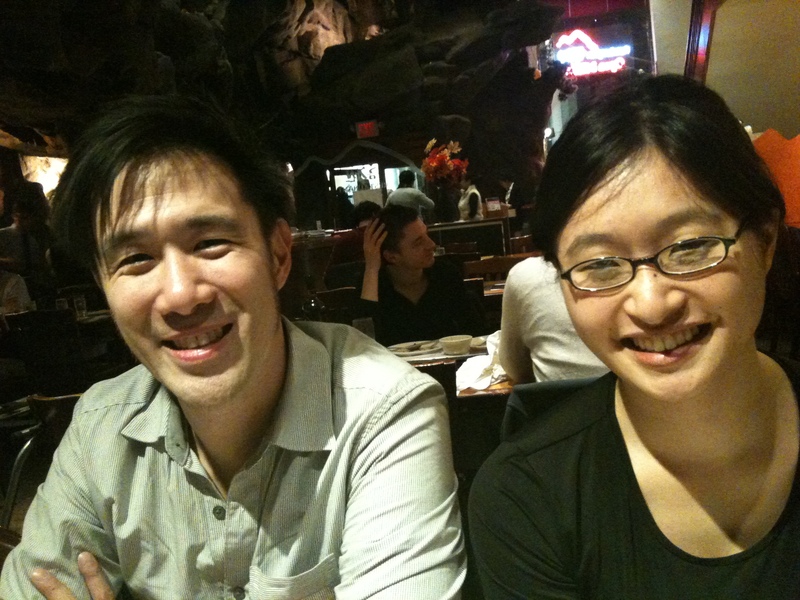 We were very fortunate to be able to spend some time with David Hou and Jackie Sia of DramaFever. As you probably know, DramaFever is a major online destination for those who are serious about getting their Kdrama on. We’re pretty sure that David and Jackie work at DramaFever, although they were very circumspect about what they actually did. Um, now that I think about it, we didn’t check them for ID or anything, but they seem on the up and up. 🙂 I’m sure they were just protecting high level DramaFever secrets. Seriously, they were very gracious in talking to us about the Kdrama industry and their hardworking crew. They also gave us the low-down on Ktown. In particular, David is directly responsible for this piece of tomfoolery. But it wasn’t all business. Look! 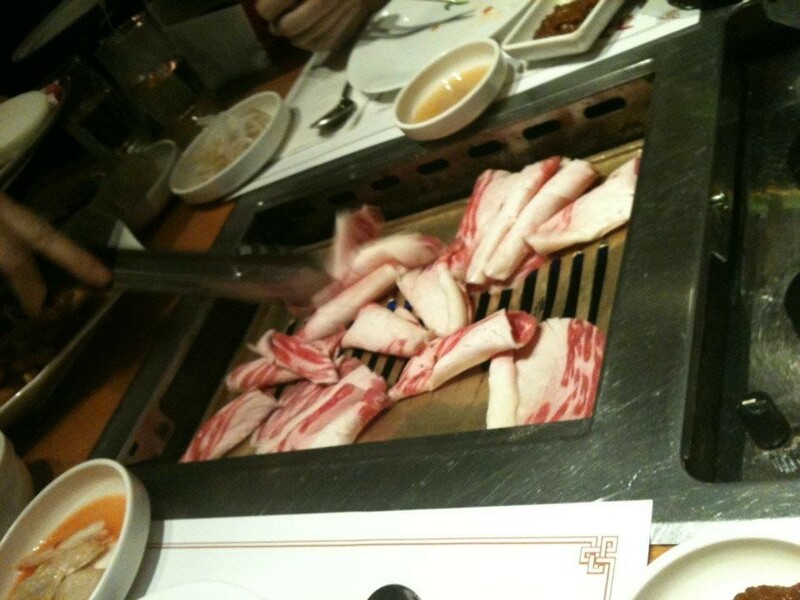 Grilling meat at KumGangSan Restaurant in K-town, New York City. Photo credit: Kaetrena Davis Kendrick, Kpop Kollective. You may not know it, but David has hidden grillmaster skills! Thank so much, David and Jackie, for being such gracious hosts to KPK! Korean television dramas (Kdramas), particularly those that are historically based, represent sprawling stories that blend history with culture. Often consisting of high production values and unfolding over 50+ episodes, these Kdramas reconstruct historical narratives and legendary stories. They also infuse a contemporary sensibility by drawing on nontraditional notions of gender, heroism, cunning and valor. While such Kdramas are broadcast to Korean audiences, non-Korean, English-speaking audiences from around the world also view these dramas via Internet sites such as Drama Fever and Crunchyroll.com. These global audiences construct alternative femininities related to the female characters that challenge traditional notions of gender. Using qualitative methods and discourse analysis, I argue that global audiences construct female characters in ways that challenge traditional notions of gender. In the 2009 critically-acclaimed and popular Kdrama, Queen Seondeok, Korean women are represented as aggressive major power brokers in national politics, rather than passive bystanders, even as they occupy more traditional historical roles for women. They also exert power over men who are characterized as more powerful both politically and martially, using cunning rather than their feminine wiles. Finally, women also engage each other in ways that showcase their intellectual talents. Such constructions by global audiences allow for more diverse notions of gender in popular culture. Why Is KPK on YouTube? As you probably know, KPK does Hallyu. Most international fans of Kpop and Kdrama access their Korean popular through the Internet in general, and YouTube in particular. We know that’s where you are watching Hello Baby and Happy Together! We go where fans go, so we’re now on YouTube! Check out the KPK Channel! Like us! Tell your friends! And watch our channel because we will be bringing our insights to YouTube too! I know, I know, I talked about Boys Over Flowers before, but it warrants a revisit, and what better way to do it than with a friend! I have enlisted Nolan Nabi to rewatch the whole pimptastic kdrama again with me, and we will be discussing our thoughts on the good (the pretty boys), the bad (Jun Pyo’s psychotic mother) and the ugly (the completely unsympathetic Jan Di). Stay tuned!